Wouter Goudswaard's new comic, Kabouter Wouter, premiers today. Updates will hopefully be weekly! Saturday 22nd of October and Sunday 23rd of October there's a major comics convention in Houten, the Netherlands: De Str!pdagen ! And several Probeersel.com artists will be there... Argibald can be found running back and forth between the stands of De Inktpot and Uitgeverij BeeDee which both will have his first ever (non-smallpress) book ! 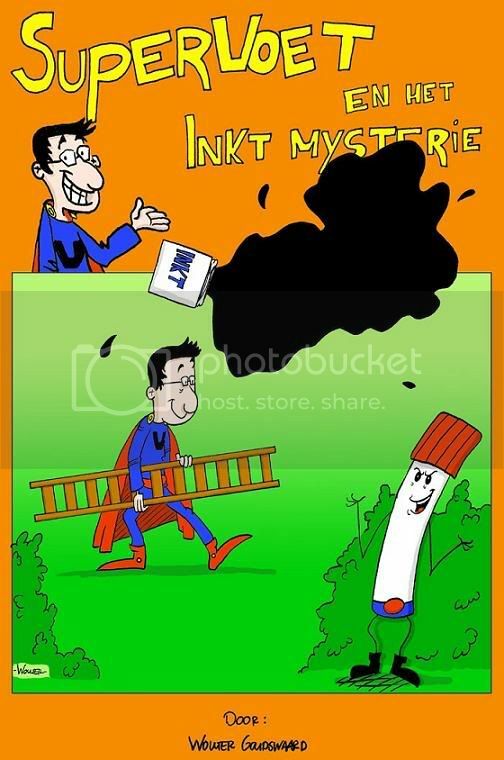 Wouter Goudswaard will be at the stand of Senoeni Productions with his first comic book as well. 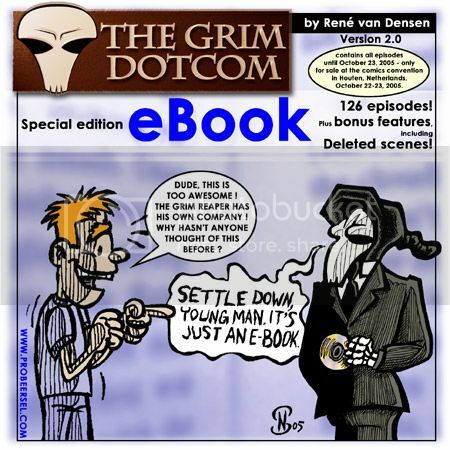 René van Densen will be at the ClickBurg stand with a special Grim DotCom e-Book, and on Sunday at 15:00, he will be one of the experts on a webcomics panel. And if you pay attention, you may also spot Bandirah in the crowd ! So go there !! Also worth mentioning: the Belgian webcomic Freddy celebrates its 3rd birthday with several guest artists. Amongst others, the 22nd fo October this comic will feature a guest episodes by Matt Baay and the 23rd it will feature one by René van Densen. Everyone, please welcome our newest member, Wouter Goudswaard ! Wouter's comic "Luchtgitarist" will be appearing irregularly on this site, so keep your eye out for new episodes ! Het leven is hard, maar de voorkant van een trein is harder!